We invite you to paticipate in visitting docent-partner Dr. Emre Camlibel lectures in the Department of Construction Management and Real Estate in VGTU. Date: 2019 m. kovo 21 d.
Ahmad Safuan Rashid from University of Technology will visit Vilnius Gediminas Technical University on 13-19 March. We invite you to meet the guest and participate in lectures. All the program of the visit can be found here. Diego Sardi from University of Montevideo will visit Vilnius Gediminas Technical University on 26-28 February. We invite you to meet the guest and participate in lectures. All the program of the visit can be found here. Mathieu Vanbuel from ATiT | Audiovisual Technologies, Informatics & Telecommunications will visit Vilnius Gediminas Technical University on 5-7 November. We invite you to participate in lectures and meet the guest. All the program you can find here. 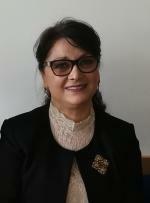 Dr. Marcela Hurtado from theUniversidad Técnica Federico Santa María, Valparaíso, Chile will visit Vilnius Gediminas Technical University on 29 October - 2 November. We invite you to participate in her lectures. You can find the program of the visit here. Kamran Shayesteh from the Malayer University, Malayer, Iran will visit Vilnius Gediminas Technical University on 11-16 October. We invite you to participate in his lectures. You can find the program ot the visit here. Ruben Loendersloot, representative of bicycle embassy of The Netherlands held lectures on May 14th-15th in Vilnius Gediminas technical university. Dr. Adam Zofka is an international expert in the transport infrastructure studies. He worked 10 years in the USA and he has been working for 5 years in Europe now. 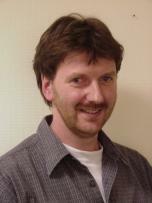 He is a deputy director of Pavement technology division of Road and Bridge Research Institute (Warsaw, Poland). He specializes in the concrete and asphalt structures, their design, pavement condition assessment, pavement mechanics and etc. Besides, he develops the advanced materials and devices (e.g. Advanced Shear Tester). His competence in the science is proved by the attendance in more than 50 presentations in the USA and Europe and published more than 100 publications and reports. Dr. Adam Zofka is an active member of international professional organizations (such as Transport Research Board (TRB), International union of laboratories and experts in construction materials, systems and structures (RILEM), American Society of Civil Engineers (ASCE), Association of Asphalt Technologists (AAPT) and etc.). In 2016 he was a deputy chair for TRA2016 conference – largest transport-oriented conference in Europe. Dr. Adam Zofka has got 7 awards, which confirm his input to the science development. During the last decade, the climate change and perpetually growing heavy transport volume resulted in rapid deterioration of Lithuanian roads. Foreign countries experience shows that it can be avoided if both the pavement is appropriate designed and the proper materials are selected. The growing industry and technology advance provide the market with the innovative materials, which have better characteristics than typical road materials. In Lithuania, the materials selection often becomes an issue, because the climate requires different solutions (e.g. resistance to rutting during summer and resistance to thermal cracking during winter). Thus, the engineer, who selects the materials, has to be familiar with innovative materials usage, production, modification, composition and etc. Besides the existing pavement condition has to be assessed during the pavement design process. The advanced technology and equipment provide the opportunity to conduct it at the lowest resources and decision matrix and prioritization guarantee the most optimal rehabilitation selection. This knowledge about pavement design is vital for high qualified engineers, because their decisions condition the quality of future Lithuanian infrastructure. On 3 – 5 April 2018 professor Dr. Klaus Holschemacher from Leipzig University of Applied Sciences (HTWK Leipzig), the Head of Structural Concrete Institute was visiting the Faculty of Civil Engineering at Vilnius Gediminas Technical University to give lectures within the Erasmus+ programme. The professor is well known for his research in the Finite Element Analysis, Structural Analysis, Finite Element Modeling, Construction Engineering, Structural Dynamics and Civil Engineering Materials, Project Management. He is the author of 268 scientific papers and 571 citations. During his visit he gave lectures to Master‘s degree students of the Faculty of Civil Engineering on the following topic: „Fibre reinforced concrete: short fibres; Textile reinforcement; Watertight structures“. The professor also had a workshop with PhD students and was meeting the colleagues of the Faculty of Civil Engineering in order to exchange the scientific achievements and identify the relevant for both sides topics. During the discussions in the International Office with the the Director of International Relations Office Aušra Pelėdienė and the research fellow Jolanta Tamošaitienė the professor showed his interest in the visiting professors‘ scheme. During the meeting the decision to organise internship exchange between VGTU Faculty of Civil Engineering and HTWK Leipzig was aproved, as well as reinforcing the partnership between through the mobility of staff and students, developing the scienitific plans with the professors in the relevant areas. 2018 03 20 10.20–11.55 h SNR II K4 a. Professor Hartmut Pastern is a worldwide known scientist working at the field of Steel Structural Design. He is the author and co-author of more than 100 scientific papers and 4 books dedicated to the issues of the steel structures design and analysis. Professor serves as a member of the European Convention for Constructional Steelwork (ECCS) 8th Technical Committee which activities include the issues of the Structural Stability of Steel Structures and development and provisions of the corresponding European Standards. Professor actively participates as scientific committee member as well as keynote speaker at the International Conferences taking place in Belgium, Cyprus, Australia, Lithuania, South Africa and etc. 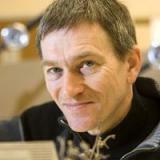 H. Pasternak serves as a chief editor of the journal "Bauingenieur", which is on the ISI Web of Science database. During the year of his academic practice he had supervised 9 PhD thesis and often serves as an external committee member at the final defence process both in Germany and abroad (Hungary, Poland, Lithuania, Greece and etc.). Moreover, he is an active contributor of the European teaching staff mobility programs such like “Tempus” and “Socrates” as well as visiting professor at the universities such like Athens Technical University (Greece), Barcelona University (Spain), University of Coimbra (Portugal), Krakow Technical University (Poland), and Trento University (Italy). During his visit professor will be giving the lectures and will be willing to share his experience with our university students and researches. The lectures and discussion will be held in English. A guest from Colombia visited to VGTU. He had three lectures for VGTU students in English. From May 5th to May 11th a professor from German Jordanian univeristy in Jordan visited VGTU. Professor from German Jordanian university visited VGTU on May 8th -12th. He gave lectures to students on May 9th and 11th. 8th of May (monday) from 18.10 SRK-I 306 aud. VGTU students and staff are welcome to attend the lecture of Professor Nordin Bin Yahaya from Department of Structure and Materials, Faculty of Civil Engineering, Universiti Teknologi Malaysia (UTM), Malaysia. The language of lecture: English. 2017-04-24 SRA- II 09 aud. 14.30 val. ir 16.20 val. VGTU students and staff are welcome to attend the lecture of prof. Franz Fischnaller from Albertina Academy of Fine Arts (Italy). 1) Expanding the Frontiers of Utopia … From the Digital Renaissance to Space on Earth Project The power of creativity across innovative intersection within art, design, science, technology and humanities. 2) New Generation applications and immersive exhibits in and out Museums. Interdisciplinary practices across Arts, Humanities, Digital Heritage, Social Science and Technology. The language of lectures: English. 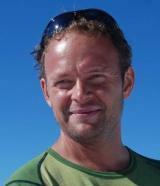 PD Dr. Kai-Uwe Schmitt is an academic staff member in the Department of Health Science and Technology at the Swiss Federal Institute of Technology (ETH Zurich) and a member of the executive board at AGU Zurich (Working Group on Accident Mechanics). Trauma biomechanics in traffic and sports is the focus of his research and teaching activities. Additional functions include being a council member and secretary of the International Research Council on Biomechanics of Injury (IRCOBI) and a member of the advisory board on traffic safety at the Swiss Federal Road Office. According to the statistics in Lithuania, the number of registered traffic accidents decreased almost 6.5 times (9.8 in 1980 and 1.5 in 2013), however the number of the injured remained almost the same – for 100 thousand people - 137.6 injured in 1980 and 134.6 in 2013 (www.lakd.lt). Injuries related to traffic accidents can be of different character – from mild to severe, or even resulting in permanent disability. Active person can sustain injuries during sport activities or at work. Trauma biomechanics is an important scientific field to explore biomechanics of various injuries, i.e. trauma mechanisms and causes. This knowledge is important for design of safe transportation means, developing and designing safe training equipment and rehabilitation devices, assistive technologies for the disabled. Research in trauma biomechanics requires broad knowledge and understanding in biomechanics, mechanics and application of different technologies (computer simulation and experiments). Students will understand importance of various technologies and approaches, will obtain better understanding of general biomechanics principles and their application. 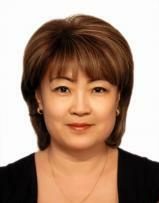 10-14 April, 2017, Dr. Svetlana S. Kvon from Karaganda State Technical University (Kazakhstan) is visiting VGTU. The guest will read lectures for VGTU students. Prof. Dr Iyad Fayez Jafar from University of Jordan (Jordan) is visiting VGTU. During his visit, professor will be reading lectures for students of the Faculty of Electronics, meeting the representatives of the faculty and International Relations Office, visiting the Creativity and Innovation Centre "Linkmenų fabrikas". Dutch Cycling ambassador Ruben Loendersloot will visit Urban Engineering Department in VGTU. During the visit organized in the frame of program Partners4Value, will be held lectures about cycling challenges in the cities, path and infrastructure design. Prof. Dr Asgeir Rossebo Almas from Faculty of Environmental Sciences and Natural Resource Management, Norwegian University of Life Sciences, will read lectures to VGTU students. The language of lectures: English. Prof. Pandin Ounchanum will read public lectures for VGTU students. The language of lectures: English. Prof. Joshua Onome Imoniama will read public lectures for VGTU students. The language of lectures: English. Dr. Nino Ratiani will read public lectures for VGTU students. The language of lectures: English. Regional waters qualitative differences and demineralization. Drinking water and water supply of the populated places on the example of the Natakhtari Water Intake. On ecological safety of water intake structure of Mukhrani drinking water. 14:30-16:05, auditorija Nr. SRK-II 507. Sources of water pollution,sanitary protection and filtration. Professor John Liobe, from University of Rochester, Research Scientist of Electrical and Computer Engineering will be visiting VGTU on December 19-23. 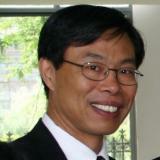 Prof Ran Liu, from Fudan University, School of Microelectronics (PRC) will read a lecture at the Faculty of Electronics. medical sensing technology, advanced IC interconnect technology. Venue: VGTU, Faculty of Electronics, 449 aud. 2016-11-07 – 2016-11-17 Prof Algis Mickunas will read public lectures for VGTU students. 2016-11-08 (17:20-19:00 SNR-III 222, 19:00-20:20 SNR-II K3 ) Basics of communication. Evaluation of current theories- from the origins of language to the creation of the world. 2016-11-09 (17:20-18:10 SNR-III 222, 18:10-20:20 SNR-II K3 ) Basics of communication. Evaluation of current theories- from the origins of language to the creation of the world. Dr Kjeld Svidt from Aalbork University, Denmark, will read a lecture: "BIM in Denmark - Public initiatives and educational aspects"
Venue: VGTU, SRA-I 05 aud. Björn W. Schuller, Reader in/Professor of Machine Learning in the Department of Computing at Imperial College London (United Kingdom) will read the lectures and lead discussions for students, PhD students and lecturers of Vilnius Gediminas Technical University on 24-28 October 2016. 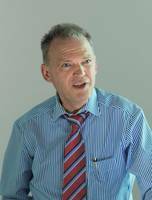 Prof. Björn W. Schuller is an elected member of the IEEE Speech and Language Processing Technical Committee, Senior Member of the IEEE, and member of the ACM and ISCA. Before, he was President of the Association for the Advancement of Affective Computing (AAAC, former HUMAINE Association, registered Charity in the UK, 2013-2015), and Honorary Fellow and member of the TUM Institute for Advanced Study (IAS). He (co-)authored 5 books and more than 500 publications in peer reviewed books (>20), journals (>60), and conference proceedings in the field leading to more than 12230 citations (h-index = 53). He was co-founding member and secretary of the steering committee and guest editor, and still serves as associate editor and Editor in Chief of the IEEE Transactions on Affective Computing, associate and repeated guest editor for the Computer Speech and Language, associate editor for the IEEE Signal Processing Letters, IEEE Transactions on Cybernetics and the IEEE Transactions on Neural Networks and Learning Systems, and guest editor for the IEEE Intelligent Systems Magazine, Neural Networks, Speech Communication, Image and Vision Computing, Cognitive Computation, and the EURASIP Journal on Advances in Signal Processing. Professor Schuller‘s research fields: Machine Learning, Complex Systems, Audiovisual Signal Processing, Human-Computer/Robot-Interaction, Affective Computing. Dr Lev Khazanovich is a professor of Civil engineering department of Minnesota university. He specializes in a rigid pavements design, performance prediction models, pavement condition assessment, non-destructive testing, finite element modelling in road pavements and etc. On the National Cooperative Highway Research Program (NCHRP) project Development of the 2002 Mechanistic-Empirical Design Guide he served as a member of Rigid pavement leadership team responsible for finite element modelling of rigid pavements and overlays, development of neural networks to predict critical structural responses, subgrade characterization procedures, and development of faulting prediction. Prof. Lev Khazanovich has got 7 awards, which confirm his competence and the importance of the implemented researches. Two his students (Adam Zofka and Kyle Hoegh) theses were declared as the best research work. Even four his graduate students (Adam Zofka, Kyle Hoegh, Priyam Saxena ir Dann Franta) received awards for significant input to science. 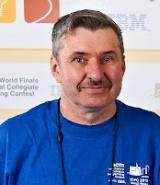 Prof. Lev Khazanovich is an active member of international professional organizations (such as Transport Research Board (TRB), International Society for Concrete Pavements (ISCP), American Society of Civil Engineers (ASCE) and etc.). He is also a member of review panels for external funding agencies, the organizer of conferences, workshops, panels and symposia and a reviewer for 16 high quality scientific journals (such as Journal of Engineering Mechanics, International Journal of Road Materials and Pavement Design and etc). He and co-authors have published more than 120 papers and was invited to present more than 40 presentations at professional meetings, conferences, universities, industries ant etc. In Lithuania pavement structure is selected according to “Design rules for road standardized pavement structures”, announced on 21 January 2008. During the last eight years the heavy transport volume significantly increased in Lithuania, innovative materials appeared in the world market, the design methods were advanced, etc. However, the design rules have not been updated. It results in the inappropriate pavement selection (pavement structure has too little or too high bearing capacity), which leads to the waste of budget. The world experience shows that the Mechanistic-Empirical design, which involves the effect of materials and climate on pavement performance, gives the highest economic benefit. Distress prediction equations give an opportunity to predict rut depth, fatigue cracking, transverse cracking, smoothness and other pavement performance indicators. The adaptation of these equations to Lithuanian climate conditions is vital in order to update the design rules on the basis of the Mechanistic-Empirical design. Every student, willing to become a high qualified engineer, has to be familiar with this design method. The aim of the lectures is to share the USA experience in the Mechanistic-Empirical design method for rigid and flexible pavements, the prediction of pavement performance indicators and the usage of the software. Target audience – I, II and III study cycle students of Road and Transport engineering. Specialists from Lithuanian Road Administration under the Ministry of Transport and Communication, Municipalities, Road and Transport Research Institute, Lithuanian regional companies concerned with road building are invited to attend the open lecture. 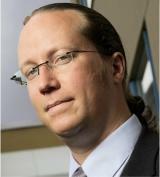 Dr. Adam Zofka is an international expert in the transport infrastructure studies. He worked 10 years in the USA and he has been working for 5 years in Europe now. He is a deputy director of Pavement technology division of Road and Bridge Research Institute (Warsaw, Poland). He specializes in the concrete and asphalt structures, their design, pavement condition assessment, pavement mechanics and etc. Zilvinas Lilas, professor of Academy of Media Arts, Cologne (Germany) will read following lectures. These lectures will be open for VGTU students. The game as anthropological, historical and cultural phenomenon. Playing interaction, wishes articulation and interactive system attachment whatsoever. Evolution of interactive systems and the computer games, historical examples and analysis. Team work. Transmedia, crossmedia, real examples of projects and their analysis. Mobile devices, their technical parameters and use of the peculiarities of the development of interactive projects. Team work. "Glance on gamification, from technique to cultural impact”. Narrative structure analysis. Team work. Individual coaching. The optimum technical resources costs. Team work. Lectures will be held in Vilnius Gediminas Technical University SRA-II 2507 aud. Lectures orientated to the first graduate civil engineering students. Lecture will be held in Vilnius Gediminas Technical University SRA-II 2507 aud. Lectures orientated to the second level Territorial planning engineering students. „Computer Vision concepts using Matlab“. 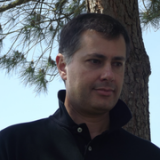 Nuno Cid Martins, Associate Professor at Coimbra Institute of Engineering, with a Master degree in Systems and Automation, Specialization in Automation and Robotics, from University of Coimbra. It has participated in projects related to areas such as computer vision, computer graphics and accessibility, in partnership with several institutions of a social nature. This course aims to provide to the students the basic aspects in the area of computer vision. Specifically, the student is initiate on concepts of imaging and three-dimensional information extraction from the acquired images. Victor Khoo is the Deputy Director in Land Survey Division of Singapore Land Authority (SLA). He received his Ph.D. and Master of Engineering degree from Nanyang Technological University (NTU), Singapore and his Bachelor degree in Land Surveying from the University Technology of Malaysia (UTM). Prior to his appointment in SLA, he was involved in various GPS, geospatial related and satellite remote sensing research projects for a period of 8 years. 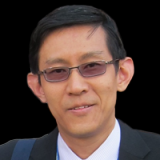 He held appointments as Associate Scientist in the Centre for Remote Imaging, Sensing and Processing (CRISP) in NUS and Research Associate in the Spatial Information Laboratory, School of Civil and Environmental Engineering, NTU. 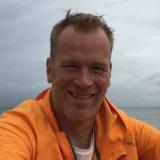 Currently, he works in diverse geospatial related subjects that encompass the collection, management and dissemination of survey and mapping data. His areas of interest include Differential GNSS, Cadastral Surveying, 3D Mapping and Spatial Data Infrastructure. Warsaw University of Technology, Faculty of Electronics and Information Technology, Radiocommunications Division. Yevhen Yashchyshyn (Warsaw University of Technology) will read the lecture: "Principle of Smart and Reconfigurable Antennas and Selected Applications For sub-THz frequency band"
The lecture aims to introduce problems of antennas, presents the trends of the new concepts with taking into account the smart antennas. The basic and advanced antennas’ parameters and methods of their measurement are discussed. We discus advantages and disadvantages of the smart antennas with showing the impact the smart antennas parameters on the compatibility of the systems and level of the interferences. The outline of lecture is that: Introduction. Examples of Smart Antenna – Auditory and Electronic System. What is a Smart Antenna? Why is Smart Antenna Important? Amplitude and Phase Weighting or Taper. Beamforming. Switched vs. Adaptive Beamforming. Adaptive Array and Adaptive Beamforming. Spatial Division Multiple Access (SDMA). Optimal beamforming Techniques (MMSE, LMS), Direction-of-Arrival Algorithms (Bartelett, Capon, MUSIC, ESPRIT), Reconfigurable antennas concepts, SMILE - Spatial Multiplexing of Local Elements, An Amplitude-Phase Weighting for Analog Microwave Beamforming. Director of Design for Singularity University Labs, TEDxVilnius speaker Jody Medich at VGTU on March 31, 14:30 will be talking on Human Side of the Future Technology. On November 19, at VGTU central building (Sauletekio al. 11, Vilnius) 10:30 am. 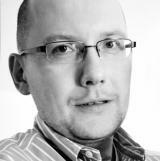 everyone is welcome to the open lecture by Phil Jackson "The UK BIM strategy experience". Phil is a Fellow of the Institution of Civil Engineers with many years of practical experience in design and construction. He is an acknowledged leader in the deployment of Information Technology in Infrastructure Design, Construction and Operational Management. His background and experience has encompassed most aspects of the construction industry from buildings through infrastructure to asset management. He has been involved in some of the world’s most prestigious projects including the UK Channel Tunnel, Hong Kong’s Airport, Heathrow Terminal 5, Dubai Festival City, Masdar City in Abu Dhabi, & London Crossrail. He is a member of the London Crossrail BIM Advisory Panel and has been working with the UK BIM Taskgroup as a core team member developing strategy and support the delivery of BIM to government departments majoring on BIM for Infrastructure for the Highways Agency and the Environment Agency. He runs his own independent consulting company and is Royal Academy Visiting Teaching Fellow at the University of Surrey He also chairs the Institution of Civil Engineers Information Systems Panel, is a board member of Building Smart UK, and serves on a number of standards steering groups related to BIM. Phil Jackson is going to reveal the experience of UK BIM (Building Information Modeling) strategy development. The audience is welcome to discuss what other countries, such as Lithuania, should and could do in order to accelerate the upgrade and development of BIM technologies. We will also discuss how business and education can work together in transport, infrastructure, energy and civil engineering projects. On November 11, Dr. Arun Majumdar, Professor of the Department of Mechanical Engineering, at Stanford University (USA), Director of Precourt Energy Institute, and Google consultant, comes on a visit to Vilnius Gediminas Technical University (VGTU). On November 11, Wednesday, from 14.30 to 15.30 this outstanding guest will deliver a lecture on "Energy Efficiency: the Lessons Learned in the U.S." for VGTU students. Energy efficiency is often called a low-hanging fruit and yet it is not always fully utilized. The talk will discuss why this is so and will draw upon the lessons learned in the U.S. to show how the alignment between technology, markets, regulations, and financing can accelerate energy efficiency measures in the most cost-effective manner. From 15.30 to 16.15 he will participate at a round table discussion with VGTU lecturers and doctoral students on the most recent research in the field of energetics and the science organization issues. The Professor will also share the experience of researchers at Stanford University. In October 2009, Dr. Arun Majumdar was nominated by President Obama and confirmed by the Senate to become the Founding Director of the Advanced Research Projects Agency - Energy (ARPA-E), where he served till June 2012. Between March 2011 and June 2012, Dr. Majumdar also served as the Acting Under Secretary of Energy, and a Senior Advisor to the Secretary of Energy. He currently serves on the U.S. Secretary of Energy’s Advisory Board, the Council for the National Academy of Engineering and the Electric Power Research Institute, as well as the Science Board of the Stanford Linear Accelerator Center (SLAC) and the Oak Ridge National Laboratory. He is a member of the International Advisory Panel for Energy of the Singapore Ministry of Trade and Industry and the US delegation for the US-India Track II dialogue on climate change and energy. Prior to joining the Department of Energy, Dr. Majumdar was the Almy and Agnes Maynard Chair Professor of Mechanical Engineering and Materials Science and Engineering at the University of California, Berkeley and the Associate Laboratory Director for Energy and Environment at Lawrence Berkeley National Laboratory. His research career includes the science and engineering of nanoscale materials and devices as well as large engineered systems. Dr. Majumdar is a member of the National Academy of Engineering and the American Academy of Arts and Sciences. He received his bachelor's degree in Mechanical Engineering at the Indian Institute of Technology, Bombay in 1985 and his Ph.D. from the University of California, Berkeley in 1989. Dr. Arun Majumdar served as the first Director of the Advanced Research Projects Agency - Energy (ARPA-E), the country's only agency devoted to transformational energy research and development, from October 2009 to June 2012. In addition, he served as the Acting Under Secretary of Energy. VGTU International Relations Office together with USA California Polytechnic State University (CalPoly) were organizing summer school "VGTU-CalPoly‘2015" for the third time. 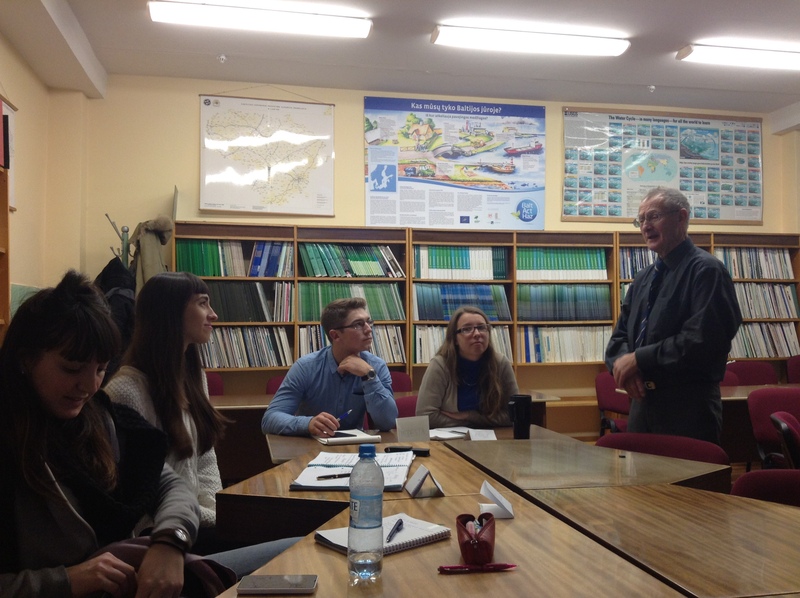 This year, there were 22 students from California Polytechnic State University and 12 students from the Faculties of Civil Engineering and Environmental Engineering of VGTU. Professor Edmundas Saliklis from California Polytechnic State University and Ignas Daugėla from VGTU delivered lectures and practical trainings. Students, who passed summer school final exams, earned seven ECTS credits that will be set off for Geodesy Practices and Structural Mechanics Module or optional Engineering Module. Not for the first time Professor Edmundas Saliklis was visiting Vilnius Gediminas Technical University. On September 2012, the Professor delivered lectures for the students of the Faculty of Civil Engineering and decided to organize a joint summer school on engineering architecture. Professor Edmundas Saliklis implemented his summer school idea in 2013, when 11 students from California and 8 VGTU students studied at the first summer school. In 2014, the school became even bigger: 18 students from USA and 8 students from the Department of Engineering Architecture and the Department of Bridges and Special Structures of the Faculty of Civil Engineering of VGTU joined the summer school "VGTU-CalPoly". "E-tools for SMEs business needs"
Field of research: Electronic environment and Entrepreneurship, Small business organization. 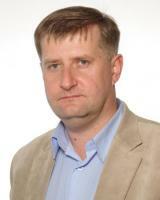 Dr. Ščeulovs participated as a researcher and leader in the EU and in International Scientific Projects. 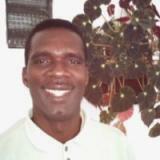 He regularly participates in International teaching and exchange programmes and lecturing abroad. 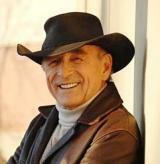 Dr. Ščeulovs organized and participated in business and educational seminars and workshops. Dr. Ščeulovs has developed skills and gained experience in modern business environment working as marketing director at LATSIGN Ltd. Dr. Ščeulovs published more than 50 publications in scientific and business journals. Since 2010 he has participated in more than 30 International Scientific conferences. He is lecturing at Riga Technical University: E-Commerce and E-Entrepreneurship; IT in Human Resources Management; Product Marketing Politics; SME’s Entrepreneurship and Business organization. He is assisting in “New product design and development” course. 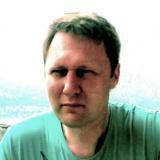 Dr. Ščeulovs has more than 10 years’ experience in business consulting (marketing, E-commerce). Forensics: The Dissection of a Malware - The Stuxnet Worm. L417 kab. Advanced Persistent Threats. L427 kab. A Smooth & Brief Introduction to the Thermodynamics of Computing. Yulia Stukalina received his Ph.D. in Management Science (Dr.sc.admin.) from the University of Latvia. Currently, she is an Associate Professor and a leading researcher in Transport and Telecommunication Institute (Latvia). Yulia Stukalina teaches a number of management-related subjects (in English). Her research areas include Human Resource Management, Quality Management and Strategic Management. Yulia Stukalina has expert status of the Latvian Council of Science in Management. 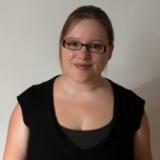 She is the author and co-author of twenty-five scientific publications (conference papers, peer-reviewed journal articles and book chapters) including those indexed in Thomson Reuters, Scopus and Ebsco. The objectives of course for VGTU students were: 1) to introduce students with theoretical concepts and frameworks utilized for analysing the external and internal environment of the enterprise and guiding the development and implementation of different types of strategies that are aimed at achieving competitive advantage; 2) to provide students with a basic understanding of the nature and dynamics of the strategy formulation and implementation processes as they occur in complex modern organizations. Local economy and air transportation. Aircraft economics and route planning: regional routes in Europe. Technical marketing, Tyvek ® product development and manufacturing expert at "DuPont de Nemours (Luxembourg) S. à r."
Date and place: 2015 2nd of April, from 1000 to 1600, VGTU Faculty of Civil Engineering, SRA I-06, Sauletekio al. 11. During the seminar detailed information about solutions for wooden houses constructions, usability of vapor control layers (VCL), technical knowledge in diffusional membrane technical and performance fields will be given. 5. Roof types and diffusional membranes selection by it. Professor Dr. Kai-Uwe Schmitt from Swiss Federal Institute of Technology, ETH Zurich, ranking twelve according to the Academic Ranking of World Universities, delivered a cycle of lectures at Vilnius Gediminas Technical University (VGTU). For VGTU students Dr. K.U. Schmitt from Switzerland delivered a two-week cycle of lectures on Injury Biomechanics. He is the Professor at the University of Zurich – the Swiss Federal Institute of Technology. Dr. K.U. Schmitt is also the researcher at the Institute for Biomedical Engineering, the secretary of the International Research Council on the Biomechanics of Injury (IRCOBI), the consultant to the Federal Roads Office of the Swiss Government, as well as the partner, the board member and the chief investigator of the Working Group on Accident Mechanics (AGU Zurich). This globally recognized scientist provided an opportunity for the students of VGTU Biomechanics program to deepen their scientific knowledge in Biomechanics and to gain general understanding of the Trauma Biomechanics principles, following the adaptation of knowledge in dealing with the social development challenges, while creating and designing a wide range of sports, rehabilitation and transport vehicles. The lectures of the representative of one of the world's best universities were useful for the students of the Faculty of Transport Engineering. On February 17-21 Tina Haase, the Professor of München University and the Head of Fine Arts Department, visited Vilnius Gediminas Technical University (VGTU) and conducted creative workshops there. The Professor delivered an intensive course on "Artistic creations as a form of space perception" for VGTU third course students of architecture. "This is the first visit of academic staff of TUM at the Faculty of Architecture for student training purposes. It is a good opportunity to activate cooperation between VGTU and the Fine Arts Department of our strategic partner, and to share experiences and pedagogical approaches,"- said Dr. Audrius Novickas, the Head of the Department of Fine Arts. As T. Haase claims, this partnership is important not only for both universities, but also for students and professors: "For training exchanges we always concentrate and reflect on training, research, and even creative methods. I came here to share my knowledge about the specificity of the images, the creative approach and systematic use of the creative processes in the architect‘s work." Professor told that she taught the students how to observe the usual surrounding spaces, how to think about them, and what to do there. "Various epochs and cultures with their architecture meet in Vilnius, bringing together many different stories, which are covered by the graffiti. Due to the properties of Vilnius, it is a unique city, a perfect space for architects to express themselves." 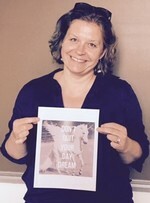 Professor Tina Haase is a recognized sculptor. She studied at the Academies of Fine Arts in Münster and Düsseldorf, created in the U.S.A. and Italy. She exhibited her art at the exhibitions in Germany, Austria, Belgium, the Netherlands, Spain, Italy, the USA and Poland. In addition to her sculptural work, she created a number of short films in the 1980s and space-oriented choreography in the 1990s. Since 2007 she is a head of the Department of Fine Arts of the Technical University of Münich. The Technical University of Münich is among the top fifty universities in the world. From 2014.11.03 to 2014.11.14 Dr. Natalya Kizilova from Kharkov National University (Ukraine) delivered intensive course “Biomechanics of biological tissues and cardiovascular system”. The course was aimed at deeper knowledge and understanding of mechanical properties of biological fluids, hard and soft biological tissues, blood flow regimes and wave propagation in human cardiovascular system, as well as methods of in vivo and in vitro measurements on biosystems. The course was based on experimental data and mathematical models of contemporary biomechanics of tissues and cardiovascular biomechanics; it was complementary to the basic courses on biomechanics and useful for students of biomechanical specialties, as well as to students from electronics, mechanical engineering, biomedical engineering, mathematics and computing sciences. From 2014.11.03 to 2014.11.14 Prof. Joseph J. Pilotta from Ohio University (USA) delivered lectures cycle "Discourses of audiovisual medias". Lectures were based on original research regarding different styles of visual communication as they appear across differing cultures and their creative expressions. The expressions was exemplified through advertising, aesthetics, music, fashion, TV programming and cultural theories. The lectures were based on phenomenological socio-cultural orientation as the most viable way of understanding comparative visual communication and its intertwining with other sensory fields. What does new media do and how? On 7th of November, 2014 Assoc. Prof. Hirotaka SUZUKI and Prof. Naoki ODAKA from Kobe University (Japan) delivered two lectures at VGTU: Trial Lecture of Engineering Graphics Education for Manufacturing with Folded Paper (Origami) and Situation of Engineering Graphics Education in Kobe University". 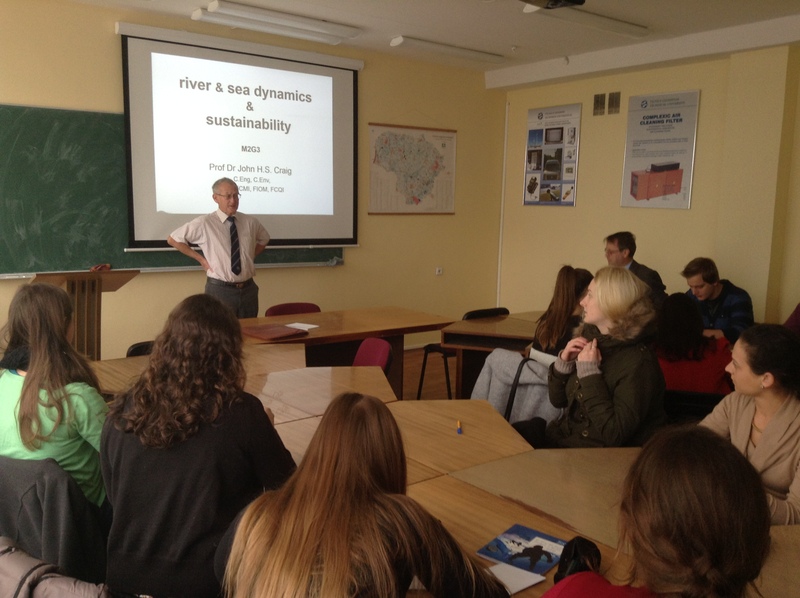 From 17th November to 28th November, 2014, Dr. John Craig delivered these lectures at VGTU: Climate and air dynamic, Deep sea mining, Sustainable environment characterization, Design for sustainability, Comparative fuel characterization, Climate and air dynamics, River and sea sustainability.